The chief executive of EasyJet is taking a pay cut in the name of gender equality. Johan Lundgren, who joined the budget airline in December, will see his annual salary cut by £34,000 ($48,000) to £706,000 ($994,000). That was the last salary earned by Carolyn McCall, his predecessor in the role. EasyJet said in a statement that the new CEO's remuneration would be identical to McCall's in all other respects. "At EasyJet we are absolutely committed to giving equal pay and equal opportunity for women and men," Lundgren said in a statement. "I want that to apply to everybody at EasyJet and to show my personal commitment." The European carrier revealed in November that it had a gender pay gap of 52%, an imbalance that it says is driven by the higher salaries paid to its mostly-male pilots. A small fraction of commercial airline pilots are women. At EasyJet (ESYJY), the share of female pilots is just 5%. "We recognize we need to do better," the company said in a statement. EasyJet says that salaries for pilots and cabin crew are collectively agreed, and it pays men and women the same amount for the same work. The company has set itself the goal of hiring women to 20% of new pilot jobs by 2020. It said it recruited 49 women pilots in 2017, an increase of 48% over the previous year. 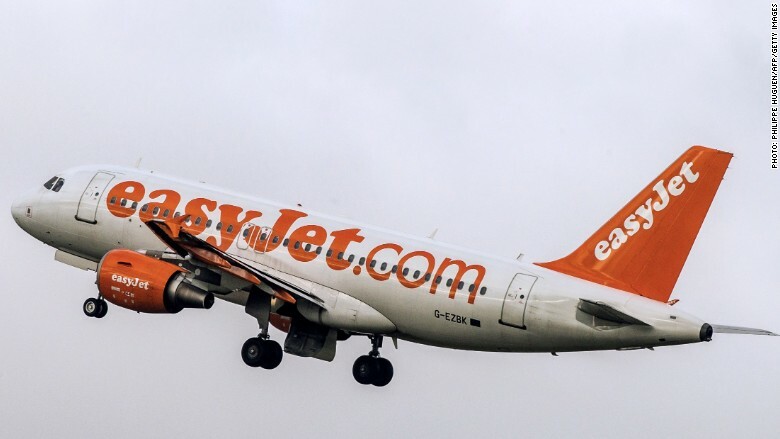 "This is a great achievement given the deep seated view in society that being a pilot is a male job and means the airline is on track to meet our 2020 target," EasyJet said. EasyJet's new CEO is taking a pay cut to promote gender equality in his workplace. McCall, who previously worked as a newspaper executive, was able to negotiate a sizable pay boost for her next job after EasyJet. McCall joined British broadcaster ITV (ITVPY) as CEO at the start of 2018, earning a base annual salary of £900,000 ($1.3 million). ITV described it as "broadly the same remuneration opportunity" as her male predecessor.